Artist Reception with Kate Connell Friday, May 10th 5:30-7:30 p.m.
Art Zone SB Evening Friday, May 24th f 5:00-8:00 p.m.
Wall space explores the idea of disconnection, both emotional and physical in Dislocation. It is a shared narrative of uprooting from the familiar and finding yourself in unknown surroundings. The two artists in our exhibition, Priya Kambli and Kate Connell are exploring the tenous, intangible ideas of family, of relationships and also integrating into new cultures and environments. It is how they remained true to themselves, connected to what was familiar, and embraced the new that makes for this unique and compelling narrative. Priya Kambli, born in India, moved to the United States at 18, Kate Connell moved from California to Japan, her family in tow. Their images speak to the complexities of finding their way, of embracing the new, and holding onto the past. Priya was born and raised in India and moved to the United States at the age of 18, carrying her entire life in one suitcase weighing about 20 lbs. She began her artistic career in the States, and her work has always been informed by her experience as a migrant. A graduate of the University of Louisiana, Lafayette, where she earned a Bachelor of Fine Arts in 1997, Kambli holds an M.F.A. from the University of Houston. Her monograph, Color Falls Down, was published in 2010. Kambli is a Professor of Art at Truman State University where she teaches Photography and Foundations. She lives in Kirksville, Missouri. Kate Connell was born and raised in Santa Barbara, California and started taking photographs at the age of eight. She studied photography at the University of California, Santa Cruz before transferring to the Art Center College of Design in Pasadena, California, where she received her BFA in 1985. She subsequently worked as a commercial photographer in New York City. In 1997, she moved to Austin, Texas and held two solo exhibitions of her studies of vines. 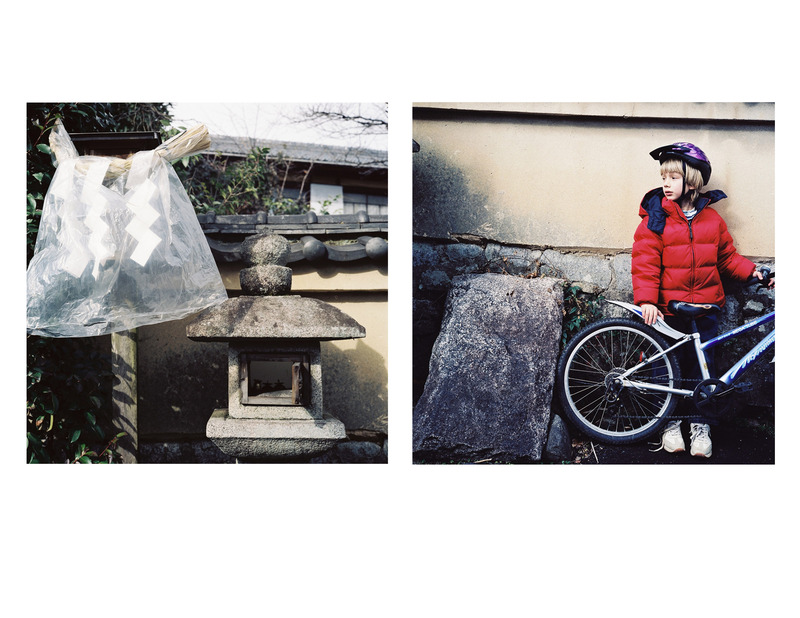 From there she traveled to Japan and spent two and a half years working on a group of photographs based on her perspective of nature in urban Kyoto. In the spring of 2005, this work culminated in two solo exhibitions held in Kyoto galleries. She has continued work in this vein after returning to the US, participating in numerous solo and group exhibitions in Texas, Japan and California, at venues such as the Santa Barbara Museum of Art, Westmont Museum of Art, the Atkinson Gallery and Channing Peake Gallery.